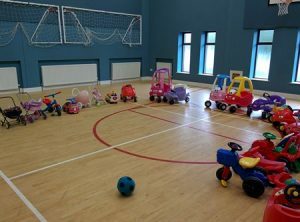 Parents and Toddlers takes place in the church sports hall each week on a Tuesday morning. 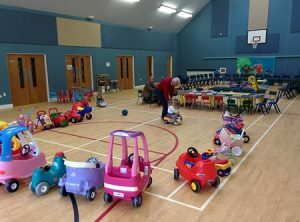 All parents, grandparents, childminders and others caring for young children are welcome from 10 am – 12 noon. There is opportunity for the children to play, enjoy a sing-song and get to know other children from the area. 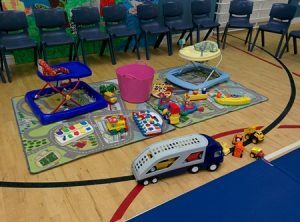 The grown-ups are able to supervise their children, while enjoying chat and some light refreshments with the other parents and leaders. This is a great place to meet old friends and make new ones who have similar childcare responsibilities. You are able to enjoy each other’s company and offer or receive support and companionship when it is needed. Come along for a warm welcome.